Ladies Easy B Phoebe Embossed Shoe. Choice of 2 widths EE OR 4E. 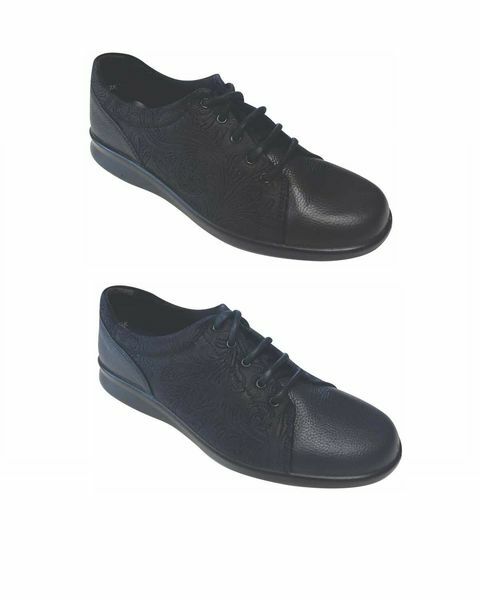 Lightweight lace up style, supersoft tumbled leather toe and heel with embossed detailing to the sides.